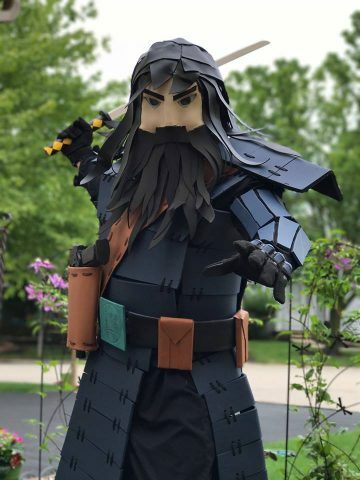 Samurai Jack Costume Embraces the Season 5 Look « Adafruit Industries – Makers, hackers, artists, designers and engineers! The animated series Samurai Jack returned with a long lost season five earlier in 2017. The lead character, Jack, had been through hard times as he tried to get back to the past. Time wasn’t kind to Jack, despite the fact that he didn’t age. Cosplayer Mnamna captured Jack’s more ragged look with his unique take on the costume. This style makes Jack look like a walking cartoon character, and I mean that as a compliment. The armor and accessories appear to be made from foam, and I haven’t seen anything quite like the mask. 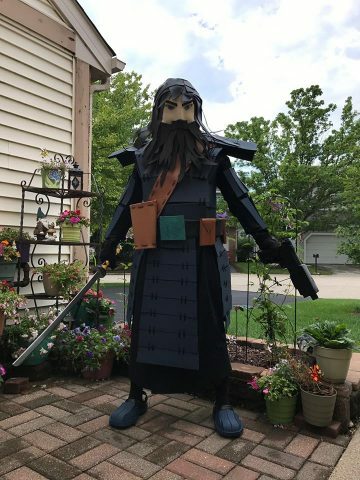 See more photos of the Samurai Jack costume at Imgur.